Based on the three intumescent technologies (sodium silicate, ammonium phosphate and graphite), ODICE offers a wide range of fire seals and fire sheets. 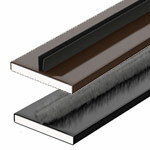 The co-extruded fire seals enhance a good cold smoke tightness and some extra dB for the acoustical insulation. Examples of applications ofr intumescent fire seals FLEXILODICE PM and FLEXILODICE PM QS: Peripheral seals for fire resistant systems (doors, shutters, dampers, cabinets, partition walls, etc.). FLEXILODICE EF QS & EF BS are co-extruded graphite-based acoustic and intumescent seals. Co-extruded parts ensure also a cold smoke tightness. The fire seals Flexilodice EF QS & EF BS are placed into a groove. Flexilodice OCS 1200 & 1201 - graphite-based flexible intumescent fire and smoke seals. Co-extruded part ensures a cold smoke tightness. When exposed to fire, the intumescent material expands and prevents the passage of any flames, hot smoke or gases. FLEXILODICE OCS 1200 & 1201 are listed in Category G (Edge - Sealing systems) & H ( Smoke and Draft Control) following UL10C. 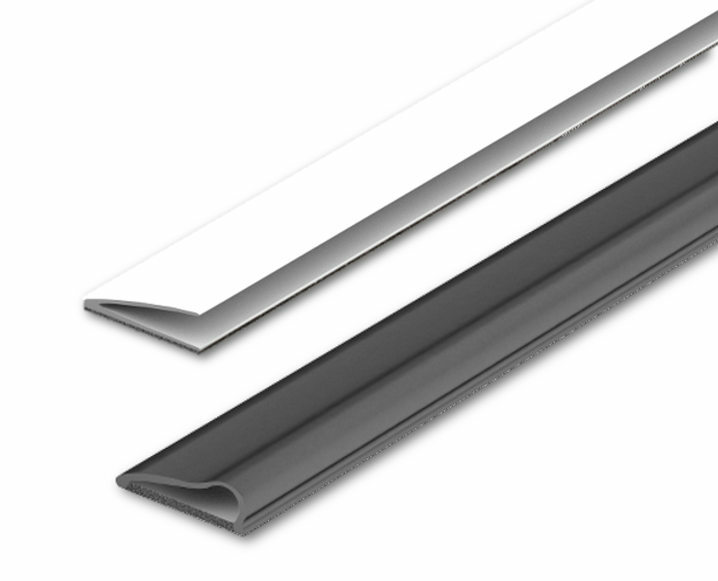 Examples of applications for flexible intumescent fire and smoke seals FLEXILODICE OCS 1200 & 1201: Peripheral seals for fire resistant doors and cabinets. FLEXILODICE GLASS - fire rated glazing seals for fire resistant glazing systems. FLEXILODICE GLASS schould be installed around fire rated glass. When exposed to fire, the FLEXILODICE GLASS expands and forms a microporous layer which prevents the passage of any flames, smoke or hot gases. 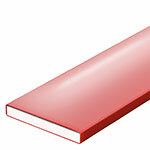 The FLEXILODICE BS is a flexible intumescent fire gasket for fire resistant glazing systems. 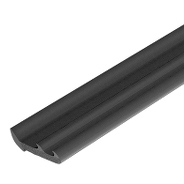 FLEXILODICE BS is made of coextruded intercalated graphite combined with a thermoplastic lip. 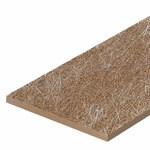 It enables a unique combination of properties: fire resistance, aesthetic and easy to install. The intumescent component expands at least 9 times its initial thickness. The micro porous layer generated by this expansion avoids flame, smoke and other hot gases to leak around the glazing. PALUSOL® PL is an intumescent fire seal made from PALUSOL, a hydrated sodium silicate material, encapsulated in a vinyl film. 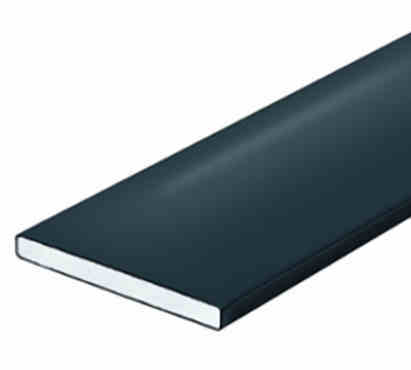 Examples of applications for intumescent fire seals PALUSOL® PL: peripheral seals for fire resistant systems (doors, shutters, dampers, cabinets etc. ), with an anti-finger trapping system, circular fire dampers , enhancement of the fire resistance of various elements etc. FLEXILODICE is a graphite-based flexible and intumescent fire seal. When exposed to fire, the intumescent material expands and forms a microporous layer which prevents the passage of any flames, smoke or hot gases. Examples of applications for Flexible intumescent fire seals FLEXILODICE: Peripheral seals for fire resistant systems (doors, shutters, dampers, cabinets, partition walls, cable penetration systems etc. ), enhancement of the fire resistance of construction elements. PALUSOL® P and PALUSOL® PM are intumescent fire seals made from PALUSOL®, a hydrated sodium silicate material, encapsulated in a rigid thermoplastic profile. 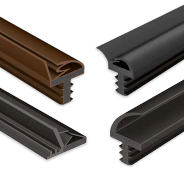 Examples of applications for intumescent fire seals PALUSOL® P&PM: peripheral seals for fire resistant systems (doors, shutters, dampers, cabinets, walls, cable penetration systems etc. ), enhancement of the fire resistance of various elements etc. PALUSOL® W is un intumescent fire seal made from PALUSOL®, a hydrated sodium silicate material, encapsulated in a rigid thermoplastic profile with wood imitation. 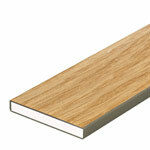 Different types of wood imitation are available. Examples of applications for intumescent fire seals PALUSOL W: peripheral seals for fire resistant systems (doors, cabinets, walls, etc.). PALUSOL® EF is an intumescent fire seal made from PALUSOL, a hydrated sodium silicate material, encapsulated in a rigid thermoplastic profile in combination with a protection against cold smoke. Examples of applications for intumescent fire and cold smoke seals PALUSOL® EF: fire resistant or flame resistant doors, swinging or sliding, with a single or double door-leaf in addition to fire-resistant shutters and smoke dampers. INTERDENS is an intumescent material made from ammonium phosphate which protects and enhances the fire resistance of wood and wood-based materials. It is available in semi-rigid boards and seals. Examples of applications for intumescent sheets & seals INTERDENS® 5, 15 & 36: partitions, the surrounds of inspection windows, the casings of latch, locks and hinges, built-in metal fittings etc. You will receive a mail with a validation hyperlink.